In this second part of our Blender to OpenGL ES tutorial series, learn how to export and render your model’s materials! Welcome back to the three-part tutorial series that teaches you how to make an awesome 3D model viewer for iOS by exporting your Blender models to OpenGL ES! 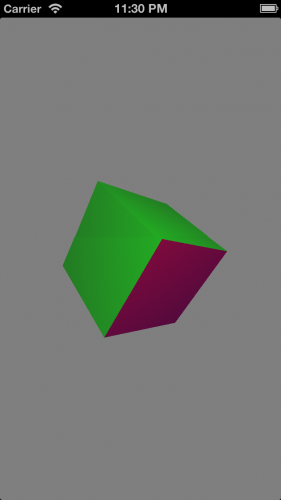 Part 1: In the first part, you learned all about the OBJ geometry definition and file format, and used this new knowledge to create a command line tool to parse a simple Blender cube into suitable arrays for OpenGL ES. 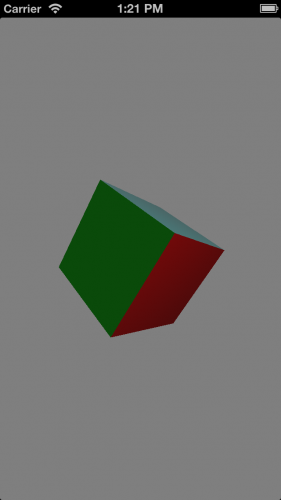 You also created a simple iOS OpenGL ES app that displayed your model. Part 2: You are here! Get ready to learn about the MTL material definition and file format, which you’ll use to add Blender materials (i.e. 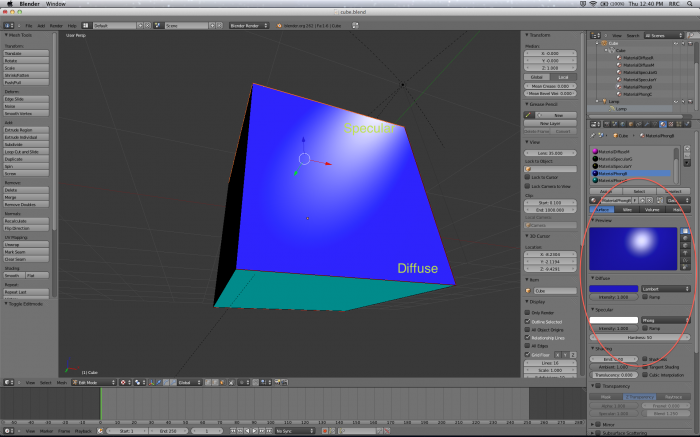 colors, textures, and lighting properties that you can assign to a portion of a model) to your cube. Part 3: In the final part, you’ll implement a simple lighting model for your 3D scene by writing your own OpenGL ES shaders! Without further ado, it’s time to implement some materials! 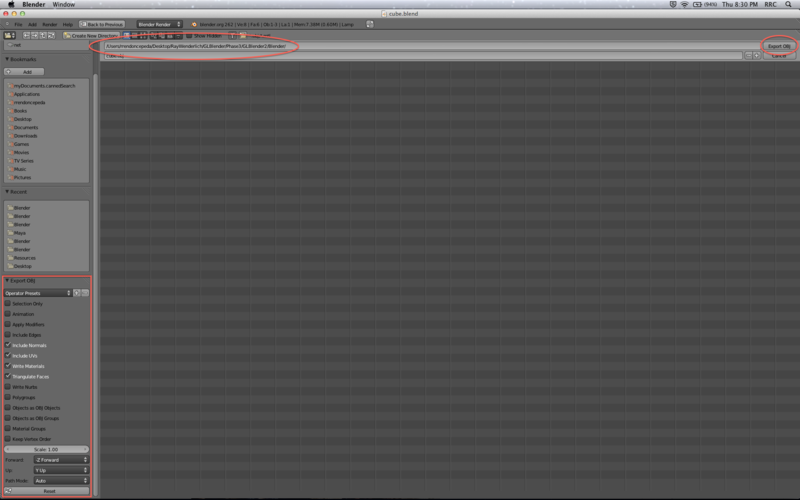 /Blender/: This folder contains your Blender scene (cube.blend). 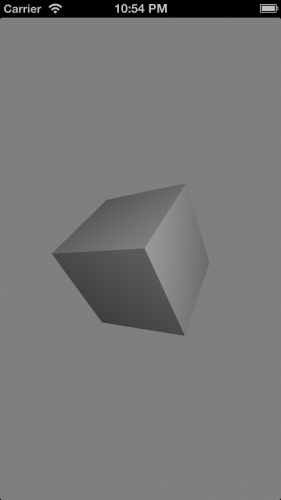 It’s the same cube from Part 1, but with the single cube texture replaced by different materials for each face of the cube. 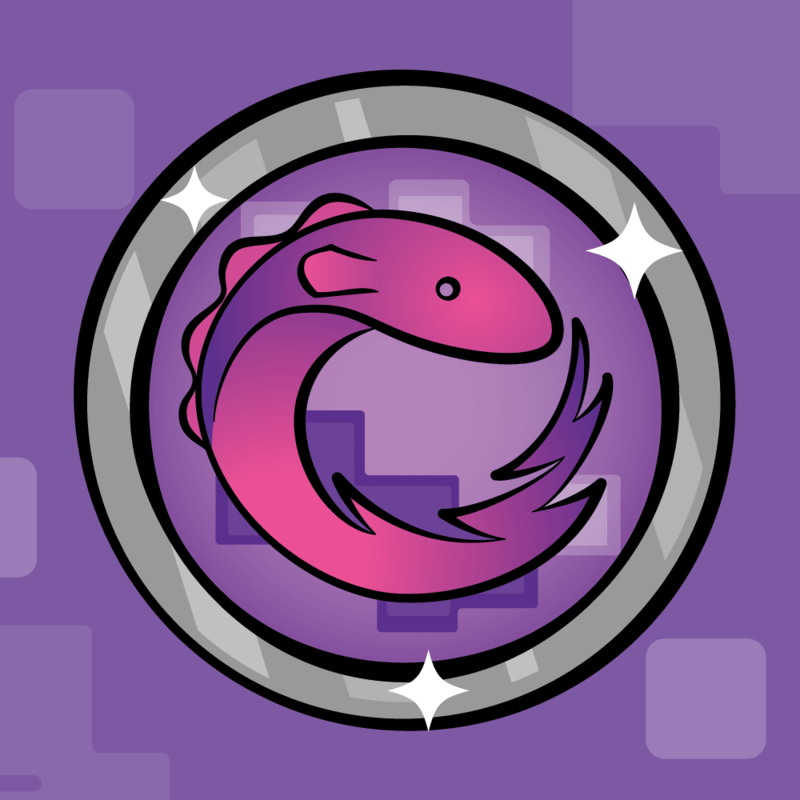 /Code/: Here you’ll find the Xcode projects for your command line tool (blender2opengles) and your iOS app (GLBlender2). The command line tool is exactly the same project from Part 1, with no modifications (minus the source and product files). The iOS app is a textureless version of GLBlender1 from Part 1. All model resources have been removed, too. /Resources/: This folder will contain all of your model’s files required by OpenGL ES. It’s empty for now. Once again, I recommend you keep your directory organized as such for easy navigation. 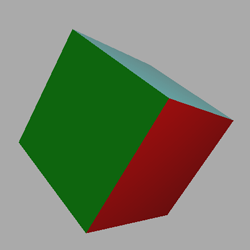 You’ll see the same cube from Part 1, but if you navigate the scene, you’ll notice that the cube’s shading changes with your viewing angle—for instance, the red and blue faces on the “side” of the cube maintain the same flat colors no matter your viewing angle, but the face on the top varies from shiny to dark, with gradients within the face. This is due to defining the cube with something new: material properties. So long, mere texture! The reason you’re seeing this differing shading effect is due to the differing material properties of each face. Whereas a texture is like a bitmap image layered onto an object’s surface—often to provide the appearance of detailed physical texture—you can think of a material property as defining the object’s physical material in terms of how that material interacts with light. Diffuse Reflection: Technically, this refers to the distributed scattering of light on a surface. More informally, this is just the reflection that lets you see things around you: when light hits an object, the light bounces off in every direction, including into your eye, which is why you can see the object. This effect also creates the perceived color of a surface when it’s illuminated by pure white light—for example, blue paint reflects blue light. In short, it’s the intrinsic color of an object. Specular Reflection: This refers to the focused reflection of light off a surface, in a single direction. Mirrors exhibit perfectly specular reflection, redirecting all incoming light exactly, depending on its incoming angle. However, most specular surfaces distort/absorb light differently depending on the angle, which leads to an artifact known as specular highlight on a surface—otherwise known as a shiny point. In the real world, both properties have deep mathematical/physical models associated with them. In computer graphics, people have developed many popular algorithms that mimic these natural effects in a simple and effective way. You’ll be implementing a simplified version in Part 3, but if you’re interested in the complex physics at play, you can read more here and here. Try turning on only diffuse reflection, and then only specular reflection, and navigating the scene to acquire some intuition for these concepts. 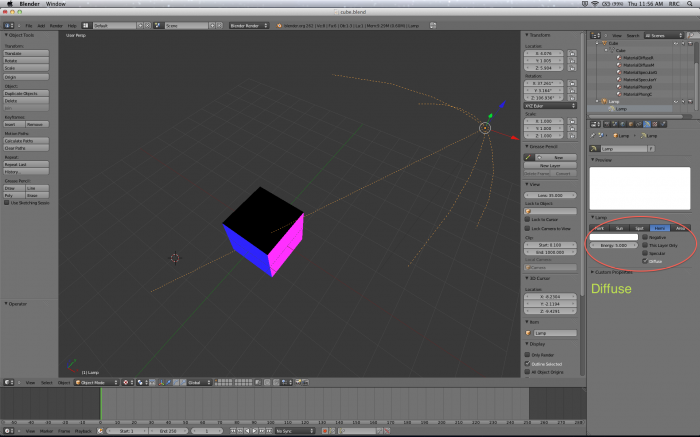 To see a flat materials preview in Blender like in the above screenshot, first, in the top-right panel—the scene outline—look under the Cube nodes and select the checkerboard-in-circle Materials icon labeled MaterialsPhongB. Then in the middle-right panel, the Properties window, look to the header of buttons, select the Materials button again and choose the material MaterialsPhongB from the list. Finally, in the Preview window, select Flat XY Plane as the type of preview. MaterialPhongB: Diffuse (blue) and specular (white). MaterialPhongC: Diffuse (cyan) and specular (white). You could use MaterialDiffuseR and MaterialDiffuseM to simulate matte surfaces like felt or cardboard, while you could use MaterialSpecularG and MaterialSpecularY to simulate shiny objects like silverware or rims. MaterialPhongB and MaterialPhongC lie between both extremes and you could use them to create a ceramic or marble appearance. The Material Template Library (.mtl) definition describes a list of materials referenced by the geometry of an OBJ file, specifically its faces. While OBJ and MTL files go hand-in-hand, be aware that there are other popular ways to reference materials, such as mapping. Nonetheless, now that you know all about OBJ files, you’ll have an easy time analyzing and parsing an MTL file. Plus, working with MTL is a great way to better understand the back-end of computer graphics and, later on, implement a neat shader. An OBJ file linked to an MTL file will reference materials by name. The MTL file lists the properties of these materials with many possible attributes, but you’ll only be implementing diffuse and specular colors. You know something about these already, so let’s get to exporting! MTL files are exported along with OBJ files, so many of the steps below are repeated from Part 1, but they’re worth a second walkthrough. Uncheck all other boxes and leave the remaining fields in their default state. 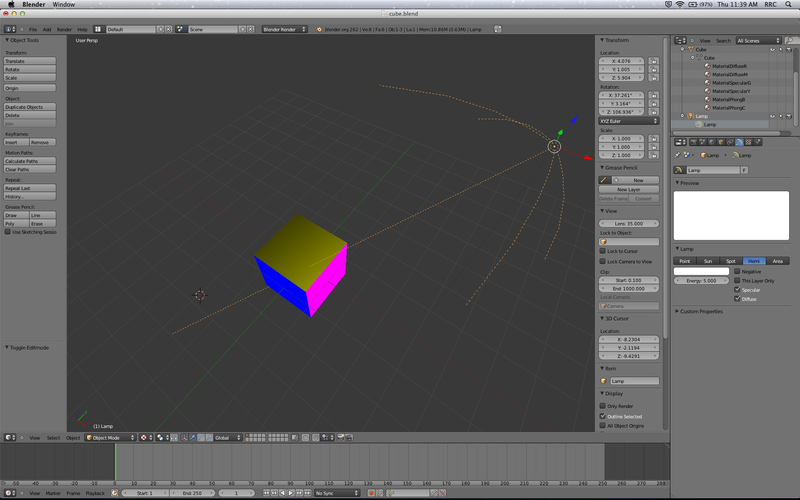 Name your file cube.obj and click Export OBJ. Your materials will be exported as cube.mtl automatically. You may export or copy your newly-minted OBJ and MTL files to your /Resources/ folder if you wish. Your material-laden cube is ready! That’s all you need from Blender for now, so you may close the application. Using a text editor like TextEdit, open cube.obj. Its contents should look like this, possibly with some irrelevant differences due to floating point imprecision or a different order to the lines. This is a reference to the material MaterialPhongC in your linked MTL file. The material is attached to all the faces listed below the usemtl declaration—in this case, two faces. Let’s follow this reference. Open cube.mtl in the same text editor. Its contents should look like this. Name (newmtl): The name of the material (referenced in your OBJ file). Diffuse color (Kd): The diffuse color of your material, in RGB color mode, with each channel ranging from 0.0 to 1.0. In this case, it’s the dark cyan: color r=0.0, g=0.5, b=0.5. Specular color (Ks): The specular color of your material, defined as above. In this case, it’s a pure white color: r=1.0, g=1.0, b=1.0. That’s all you need to know about MTL files for this tutorial! 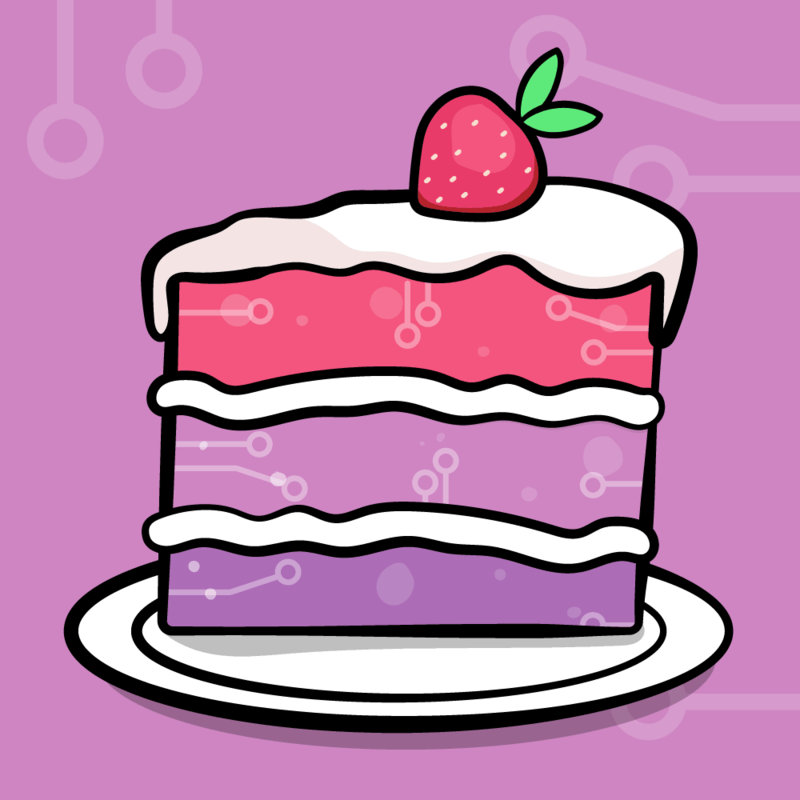 You’re ready to extend your command line tool, so feel free to take a break before you start coding. Before you begin, locate your command line tool project directory using Finder (/Code/blender2opengles/) and copy your exported model files, cube.obj and cube.mtl, into the folder named source. 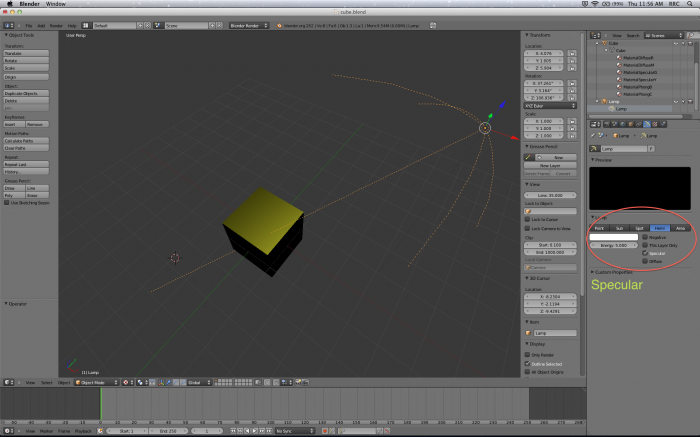 Using Xcode, open the blender2opengles project included in the starter kit for this part of the tutorial. As mentioned before, this is exactly the same project from Part 1, with no modifications. Build and run your project. As expected, cube.h and cube.c are written to your directory (/Code/blender2opengles/product). This will be a handy reference to your MTL file. That’s a pretty easy setup for your materials, so let’s move on. fp is the path of your MTL file. m is a counter for your materials. ifstream opens your MTL file for reading (input). You read your MTL file from start to finish. Each material declaration begins with the identifier newmtl, which is the only identifier in the MTL file that begins with “ne”. Therefore, the parser examines each line for this two-character token and increases the material counter m whenever it finds a match. You close your MTL file. You return your material counter, m.
materials stores a string for each material name, as spelled out in your MTL file and referenced in your OBJ file. diffuses and speculars both store three floats, one for each color channel in an RGB representation. As you know, the code identifies a material with the token newmtl. It then extracts the next token within the current line (after the white space) by using the function substr and discarding the string prefix “newmtl ”. The result is the material name, stored in materials. Here, try implementing the code to extract the RGB data of diffuse colors into the array diffuses, using d as a counter. 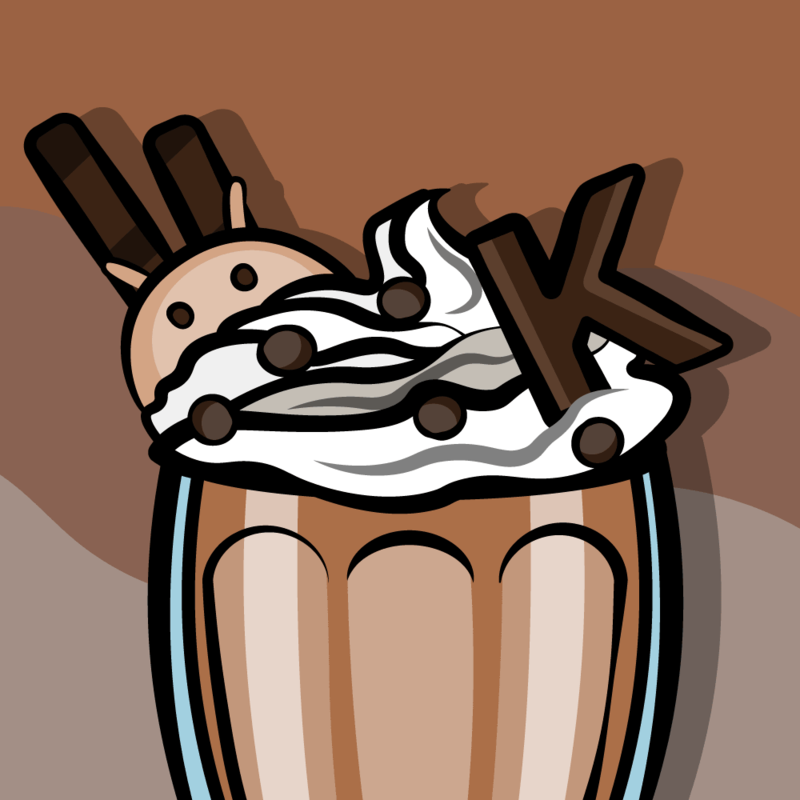 Here, try doing the same as above but for specular colors, using speculars and s.
Give it a shot! If you’re stuck or want to verify your implementation, check the solution below. Hint: The code for this challenge is virtually identical to the parsing for positions in the function extractOBJdata() from Part 1. Build and run! The console now shows the data for the first material in your MTL file, MaterialDiffuseM. Good job—you’ve successfully parsed your MTL file! You’re not quite done with the materials yet. You have their data but still don’t know which faces they’re attached to. For this, you’ll have to refer back to your OBJ file. This change causes Xcode to flag a new error for you at the call to extractOBJdata(), because faces doesn’t match the function parameter. For now, remove this function call completely; you’ll add it again shortly. You’ve updated the method signature to account for the new faces array. You are also now passing materials to check your list of material names and m to loop through said list. mtl is the index of a material in materials. As you know, the token usemtl references a material. In an OBJ file, a comparison to the two-character token “us” is sufficient to identify this reference. Just as in extractMTLdata(), you extract the material name by using the function substr and discarding the string prefix "usemtl ". You then compare this material name to each material in materials, as parsed from the MTL file. Unfortunately, the materials/faces in the OBJ file are not organized in the same order of appearance as in the MTL file—hence this approach. You store the matched material as an index to materials in mtl. You then append mtl to faces[f]. See? It’s not too bad after all. Build and run! The console will tell you which material each face uses. Make sure the output matches your cube.obj file. Now you’ve parsed your materials properly—nice one! This line simply adds useful statistics comments to your header file, for your reference. 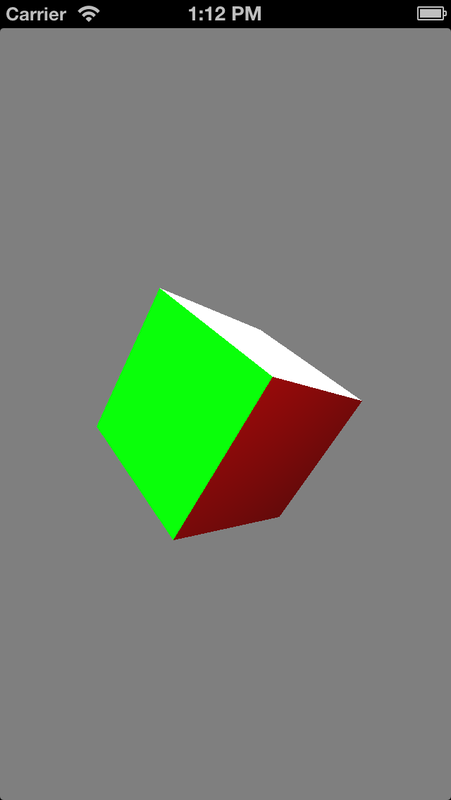 In Part 1 of this tutorial series, OpenGL ES batch-processed all 36 vertices of your cube with glDrawArrays(). If you look at the docs and expand this function, you’ll notice the full set of parameters is glDrawArrays(GLenum mode, GLint first, GLsizei count). Now that you’re adding materials to your cube, you’ll need to render your cube by stages, according to faces grouped by materials. first will be the starting vertex of each face group and count will be the number of vertices to draw for each material. This second set of statements should look a lot more familiar. Here you declare the arrays to store the actual material data, with each array tailor-made to fit the exact number of materials for the model, with three RGB channels for diffuse and specular colors. Your header file is all set—way to fly through that one! Xcode is happy with these changes because they account for the new faces array. Now your generated H file includes declarations of an array of cubeFirsts and an array of cubeCounts for glDrawArrays(). But there are no corresponding definitions in the generated C file yet. Let’s fix that. The original loop is nested inside another for loop, since model faces are grouped according to their material for easy rendering. If there is a match between the face material reference faces[i] and the current material index j, then you write the current face to the material file. When this happens, the vertex count, counts, of the material index j increases by 3 vertices (triangular face). This is a temporary log to show your algorithm in action. It’s difficult to appreciate the changes in your C file at the moment, and I don’t want to over-comment it either. Build and run. There’s nothing too exciting just yet, but the console shows the materials written in order, each used in two faces as expected. You may remove the cout statement. Challenge time! This one should be easy, since you’ll modify the functions writeCtexels() and writeCnormals() as above, but without having to worry about counts. Hint: There’s no need to change the function signature—just the for loop inside each. And just like that, you’ve restructured your OBJ data! In Part 1, I mentioned the benefits of modules and then you implemented separate functions for each attribute array. You’ll be doing the same in this part, too, starting with the model’s firsts and counts. You’ve created an array of firsts but you haven’t stored any data in it. Luckily, you can do this as you write out your C file. You’re about to render the first group of faces. 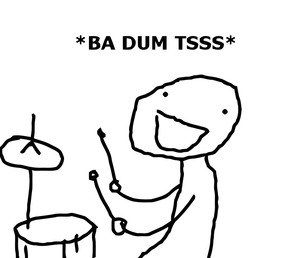 If you’re writing data for the first material, then the starting vertex is 0. For all additional materials, the starting vertex is equal to the first vertex of the previous material plus the number of vertices drawn. So, once you’ve determined the result you simply write it to your C file. You filled in the data for counts earlier, so another simple write suffices here. Your hard work has paid off! And there’s more good news—you’re almost done. It’s time to implement your model’s diffuse and specular colors. You should know exactly what’s going on here—you’re simply writing out the RGB diffuse color data of each material. This makes your next challenge very easy... do the same for your specular colors! Build and run! Open cube.c in Xcode and check out your finalized implementation file, which should look like this. Copy your files cube.h and cube.c into your /Resources/ folder and take a well-deserved break before you hit the app. Open your GLBlender2 project in Xcode and add your enhanced resources to your project: cube.h and cube.c. You may also add cube.obj and cube.mtl, but it’s not necessary. Build and run! You should see your same cube from Part 1, but without a texture. This may not seem exciting, but it’s very important to know that you haven’t compromised your model’s geometry by adding materials. That’s exactly what you’re seeing on your cube—a grayish surface. The fourth value is alpha in RGBA mode. Let’s play around with these parameters, shall we? Build and run! 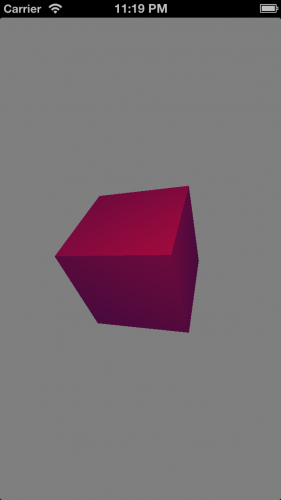 Now you have a bold red cube (diffuse) with a faint blue glow (specular). Let’s make things more interesting by adding two materials to this cube. Now you’re rendering half of your cube as an almost-matte green surface. You call prepareToDraw again because you’ve changed the effect, and then glDrawArrays() begins drawing from the previous half of the cube for another half-count of vertices. Build and run to see the results! Instead of adding a long list of materials and drawing calls in your rendering function, let’s tidy things up with a loop. Since your faces are grouped by materials, your loop should render all materials according to cubeMaterials. In your command line tool, you also determine the size of cubeFirsts and cubeCounts by the number of materials, so you won’t encounter any access errors. These two arrays work with each other, so they’re quite organized and know exactly which vertex to start drawing from and how many vertices to draw. And that’s how your full, 36-vertex cube gets rendered! Build and run to see it with your own eyes. It should look exactly the same as the first gray cube you rendered. With these two lines, you set the appropriate material properties to be attached to each face group. ...but it’s not what you were expecting. The materials are correct, but MaterialPhongC is far too bright and its specular color, white, is completely overpowering its diffuse color, cyan. You can try to fix this by adjusting your scene’s lighting. Your scene now has a lighting intensity of 25% white for specular surfaces and 75% white for diffuse surfaces. Build and run! You’ve got your cyan back, but the scene may be too dark for your liking. You can play around with your lights and materials, but the truth is that GLKBaseEffect has limited rendering options because it mimics the fixed-function pipeline of OpenGL ES 1.x. Blender and other high-end graphics software tend to run sophisticated lighting algorithms by implementing shaders. You’ll learn more about these in Part 3, but essentially they are dedicated programs that allow you to develop you own lighting models and other special effects. Since OpenGL ES 2.x, the fixed-function pipeline has become a thing of the past thanks to programmable shaders, which are coded in GLSL and run on the GPU. Here is the completed project with all of the code and resources from this part of the Blender to OpenGL ES tutorial. You can also find its repository on GitHub. Congratulations, you’ve enhanced your model viewer and knowledge of 3D graphics by handling and implementing materials! This part of the series was quite tricky, especially when parsing two separate graphics files to produce one model representation. You should now understand the material properties of simple surfaces and know how to analyze an OBJ/MTL file pair. By now, you’re a total pro when it comes to command line tools in Xcode and really know your way around file I/O. You’ve explored GLKit a bit more and hopefully you’ve noticed the trade-off between ease of implementation and quality of rendering. If you have any questions, comments or suggestions, feel free to join the discussion below!